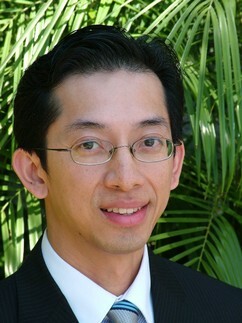 Dr. William Tseng from Rosalynn Carmen on Vimeo. Dr. William Tseng wears different hats serving as President of Professional Medical Staff and Physician Ambassador to Corporate Community at Kaiser Permanente, San Diego. “Balancing between patient care, hospital accreditation and physician licensing while assessing services needed to serve the community have all been challenging and exasperatingly gratifying” said Dr. Tseng, who found Shangri-La as he came to San Diego after completing his residency at Johns Hopkins. Over the years he has continued to chair Medical Symposiums and work with Kaiser's Diversity Council; reaching out to physicians within and beyond the region, propelling awareness of the Asian physicians' greatest assets, and bringing the best of medical talents to San Diego. To reach out on a broader scale, Dr. Tseng is involved with California Medical Association (CMA) as Board of Trustee, San Diego County Medical Society, and San Diego Medical Foundation as Executive Board Member, through which he has been riding on an endorphin high gathering resources for area physician volunteers facilitating donated surgeries. Dr. Tseng believes in practicing what's good for the body, the mind, the individual and the community. Being on the Board of the Union of Pan Asian Communities (UPAC) and the Asian Pacific Islander American Public Affairs Association (APAPA) has entrenched his beliefs in the members’ capacity to engage and support the under-represented, and under-served. To this day, “To treat an illness, begin with the heart” has been his motto, in the words of the patriarchs in his family who have dedicated their lives to medicine. WIL PHAMATECH from Rosalynn Carmen on Vimeo.